Look at the example and find three nouns. Which of these three nouns is a subject (the person who makes an action), an object (a person or a thing which others make actions with) and an addressee (the person who receives something). So the rule says – if there is an addressee (the person we give something to, we say something to, we promise, explain, recommend, tell or advise), they should be in the dative case. Which means we have to change the ending of the word to the dative case. 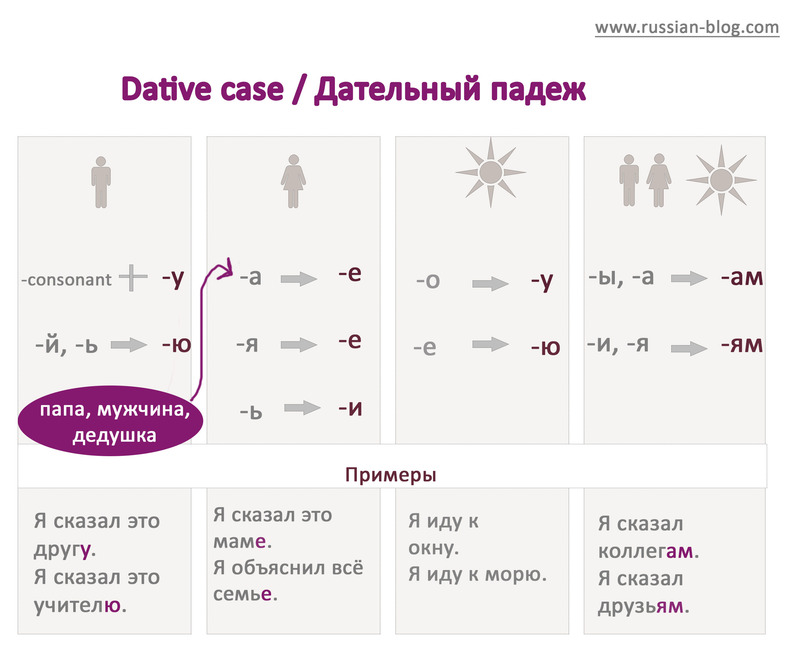 The dative endings for masculine and neuter nouns are -у or -ю. Feminine nouns have the endings -е or -и in the dative case. And the ending for plural nouns is -ам or -ям. 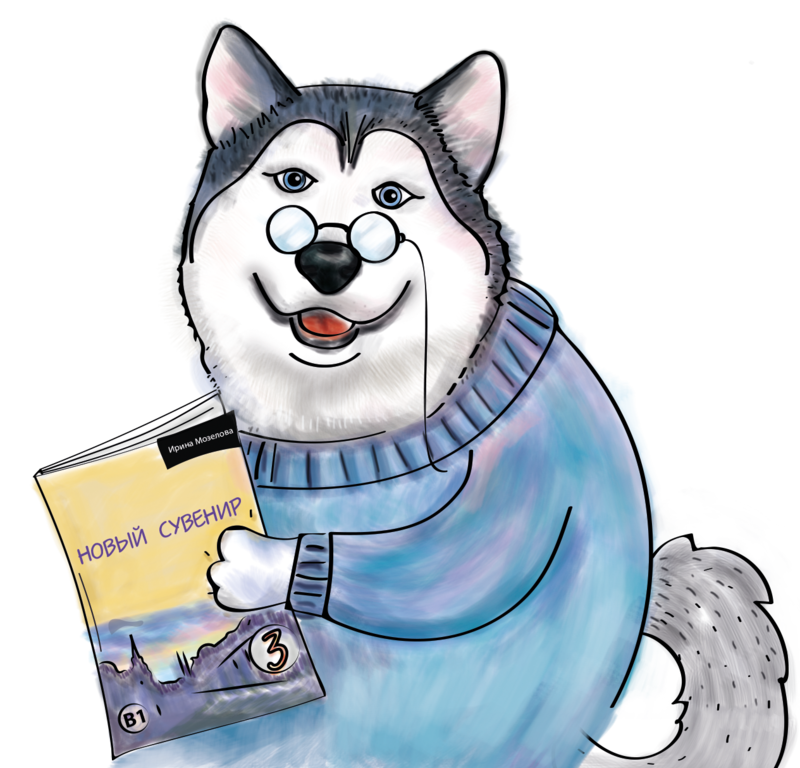 And if a masculine noun ends like feminine with the -а or -я (Usually it happens with animated nouns or male names), it is changed like feminine nouns: Я сказал это папе – I said it to my dad. 1. Я сказал правду другу. 2. Я другу сказал правду. 3. Правду я другу сказал. 4. Другу сказал я правду. 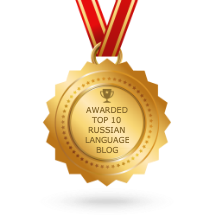 If you feel that you are ready to learn all the other situations when you have to use the dative case (besides “the addressee” situation) visit here.